In recent years, there has been an escalation of orientation and way- finding technologies and systems for the blind visually impaired people. 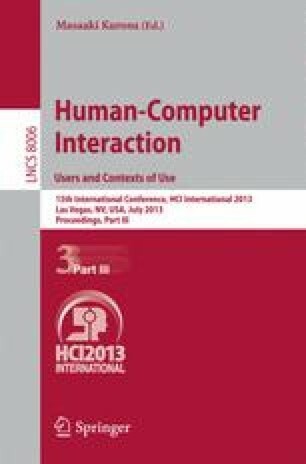 The purpose of this study was to help visual impaired to access and explore spatial information by establishing a cognitive map of public place using IVEO hands-on learning system and tactile direction map. The IVEO hands-on learning system combines touch, sound, and sight, using touch and sound learning modalities to help the blind and visually impaired to learn faster and retain information longer, meanwhile making learning more interesting and interactive. Subjects were divided into four groups in terms of route familiarity and IVEO Aids of exposure, with an equal number of subjects (N=4) in each group. Then, the subject performed an actual Way-finding test to get back and forth between Ximending and TDTB (Taiwan Digital Talking Books association). The dependent variables were total time, number of miss route, and number of request. The results revealed a significant effect of IVEO Aids, and the subjects could perform better through IVEO Aids. This research provided a learning method of orientation and mobility for the blind and visually impaired, and assisted them to be familiar with the route safer and faster.